▶️ You can also purchase a yearly subscription and use all the Barcelona walking tours. Besides being a fan of Spanish football… umm… soccer according to my American friends, I am also a fan of Spain. Its food, people and architecture are among the many reasons I love the place. So in late 2019 we will be heading to Spain, Barcelona in particular and this is what we have discovered about that city during our research. 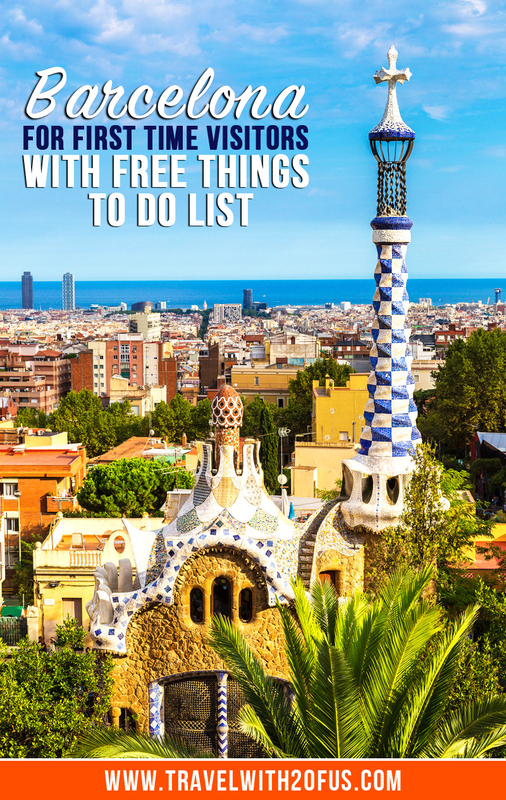 We also included a list of free things to do in Barcelona. Honestly, I don't think you can go to Spain and not visit Barcelona. It is not the capital city, but is one of the most interesting places to check out while in Spain. It is also Catalonia's biggest city and one of Spain's most populated municipalities. 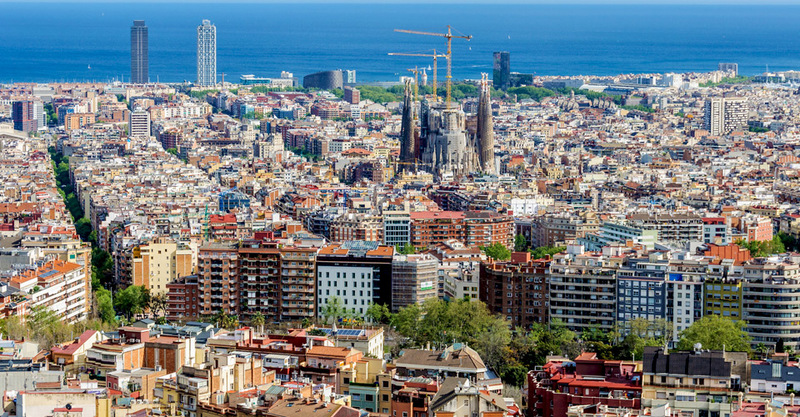 Barcelona accommodates about 2 million people within its city boundaries. However, its urban area stretches beyond its administrative units and is home to more than 4 million people. 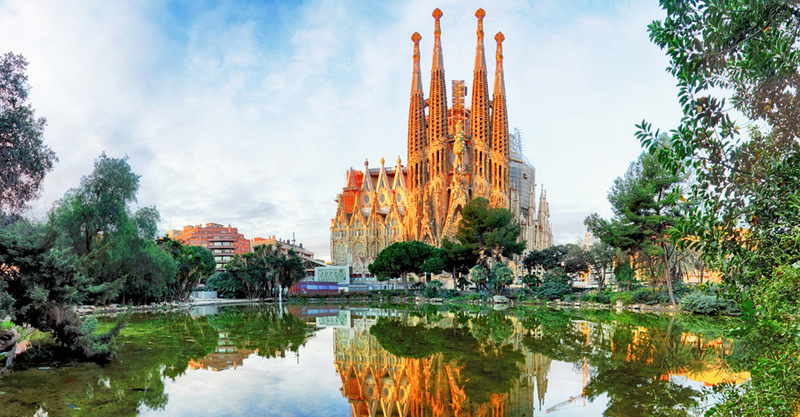 Interesting architecture covers Barcelona's landscape and a tour of this city is an experience you must have when you visit Spain. We will be booking our Barcelona flight and our hotel in Barcelona early so we can get a better deal for this trip. You should do the same as well. That being said, check out some of the places we plan to visit and things we plan to do when we arrive in Barcelona. View of Barcelona from Turo del Rovira. Ever heard of white elephants? Well, this is not exactly one of them, but it has been under construction since the 19th century! It may take another century to complete this monstrous basilica. You will find it on Calle Mallorca. Consult your guide for opening hours since they keep changing. Remember to arm yourself with some dollars since donations are collected in exchange for entry. If a boulevard is your idea of a tourist site, head straight for Las Ramblas. It is Barcelona's most famous and popular places. As you move about, you are sure to come across street performances that will take your breath away. Las Ramblas also has hotels so you can book yourself in and become a passing resident of the place. 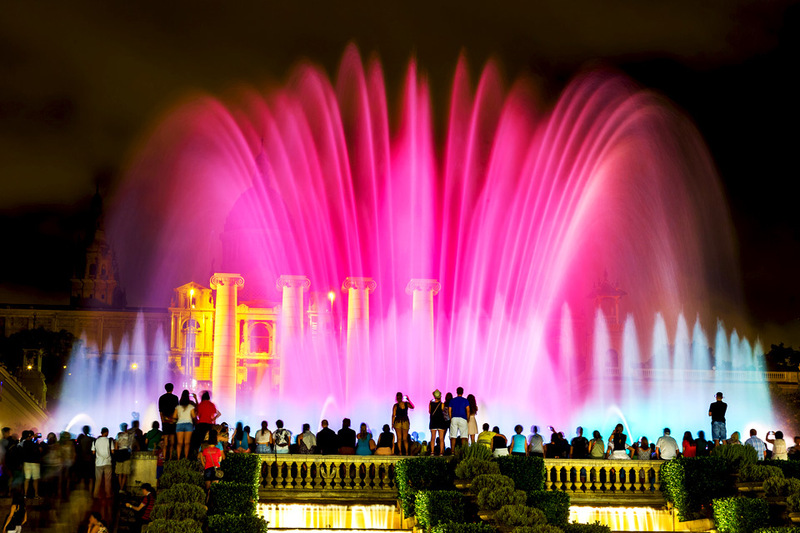 If you find yourself at Placa d'Espanya, head down Maria Cristina and you will come face-to-face with a sight to behold; the magic fountain. It is an astounding combination of music – yes, music – water, and light. Be sure to visit the place during night hours or during a light show for a greater impact. You may have known it by another name, Casa Mila. It is yet another monstrosity that landmarks Barcelona and you have no reason whatsoever to miss it. The colorful tiles and wavy brickwork will no doubt capture your fancy. To access it, run along Passeig de Gracia or take a Metro. Remember to check opening and closing hours with your guide or hotel. Go easy here if you happen to be a football (Soccer) fanatic. The very thought of stepping on the same soil as the world's most famous football maestros like Messi, Suarez and Co. may easily overwhelm you. If you are lucky enough, you may actually meet and shake their hands! You may also watch a La Liga match live in the stadium if your timing is good. Take the Aristides Maillol, 12 to get to the stadium. Fancy stone structures and ceramic tiles? 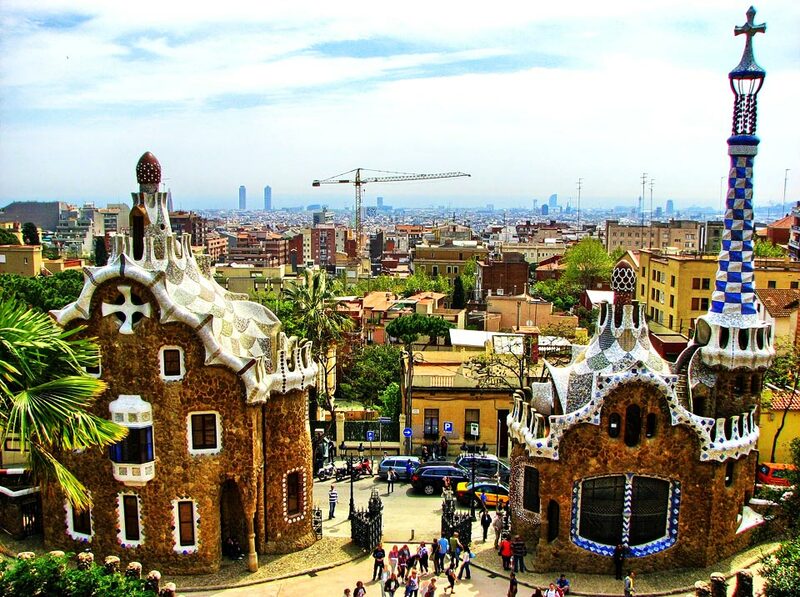 Visit the Park Guell before calling it a day. Entrance is free but to access the stone structures and other monuments, you may be required to dig into your pockets, so be prepared as you head that direction. There are many eateries in the city of Barcelona. You may have to consult your bank account before settling on the best for you. The dishes offered range from Spanish, to Mediterranean and European. You are likely to find your favorite meal regardless of your background. A budget breakfast will set you back by $7. Note that Barcelonans prefer light breakfast. You will need roughly $10 for a budget lunch while dinner may cost a little higher, $16. You may want to get your meals in the same hotel you are staying in. Most charge upwards of $100 per day. Most common meals are available in this city. You will be served with your favorite cup of coffee or tea in the morning. Alternatively, you can do with fast food from McDonalds though it doesn't open in the morning. Desserts are also available. Bakery products from the open markets are also very tasty - consider having a bite. 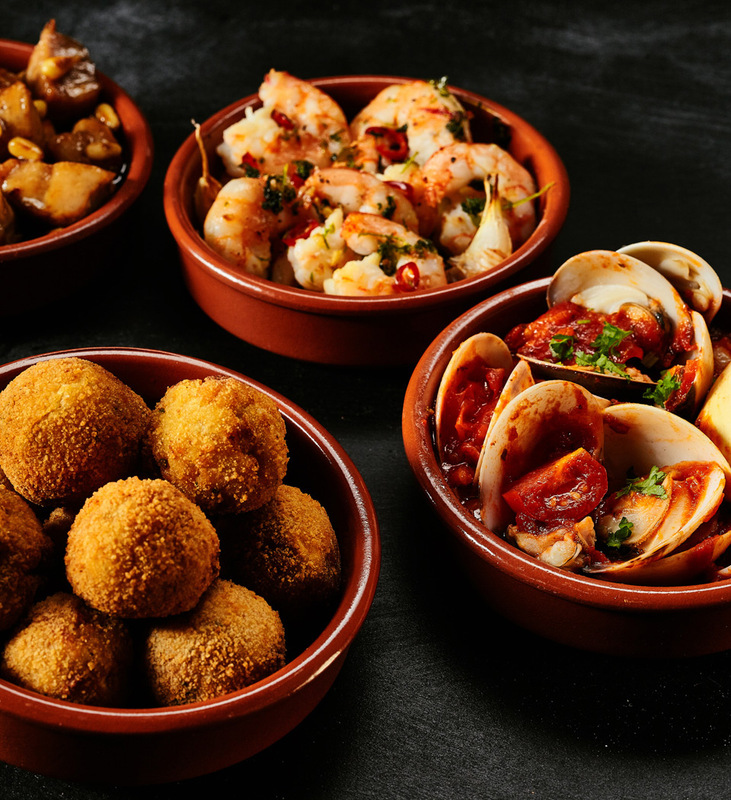 You cannot visit Spain and not try a selection of Tapas. Other dishes you should sample are Pisto, Pulpo a la gallega, Paella and Croquettes. If after you have visited all our free suggestions, have a budget, and you still want to experience more of Barcelona. Check out these tours. Traditional Spanish fried seafood and tapas. 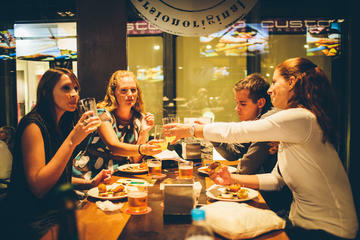 You will easily find casual pubs as they are strewn all over – remember this is a tourist zone. Such pubs offer a pint of beer at about $5. If you want to enjoy the nightlife in Barcelona. Such an urge will drive you to a nightclub where you will spend more on beer or maybe wine. Under the butterfly lights at Bosc de la Fades, you will gulp down a glass of wine at about $4. Forget about doing the rounds – there is no such thing in Barcelona. In Catalonia, you pay at the very end. Catalans can be trusting people, I have heard. Missing out on cocktails? Don't worry too much because all you have to do is march to the Boadas. A dry martini here and there can be a delight in a foreign land. However, remember to stay sober and take plenty of meals between drinks. Some drinks you should definitely try while in Spain are Valencian Water aka Agua de Valencia, Sangria, Cava also known as the Champagne of Spain and Orxata. 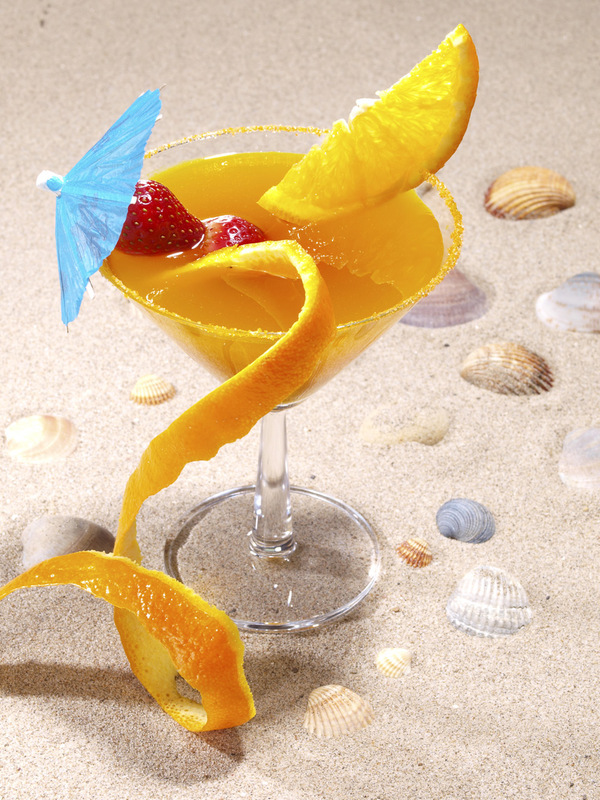 Agua de Valencia is a Valencian cocktail. You are most certainly aware of the fact that Barcelona is basically a beach metropolis. It is the first thing to dawn on you once you alight at the airport. Your adventure in Barcelona would not be complete if you didn't set foot here. Its location near the Olympic Marina and the Icaria shopping center is especially appealing to the younger generation. However, this is not to lock out old turks. You can drop by on your way from other destinations and settle down in the English-language cinema for a movie. Enjoy the sunlight, but walk with your sunglasses and sunscreen. 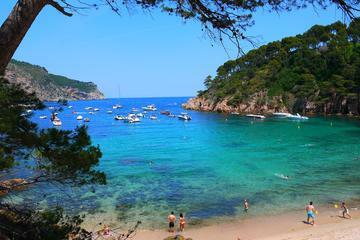 You can arrive using the Bogatell Metro station and stroll to the beach. It is less noisy compared to Barceloneta, and much cleaner. You are quite at home if you are the raving type. This beach, unlike many others, is quiet, pristine and flat. Its sands are white and golden. To get to it, take a thirty-minute train trip from Barcelona city. It calls out to the most adventurous type. The milling crowds will tell you that you are at the right place. 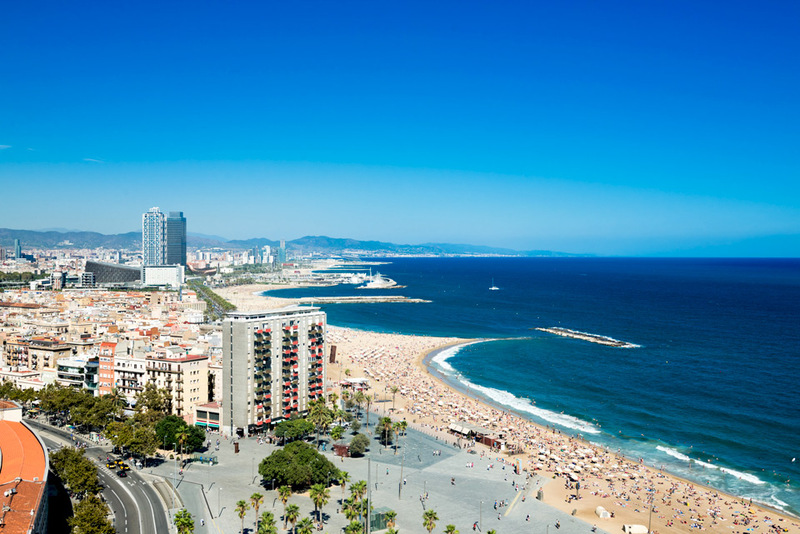 This is Barcelona's most entertaining beach. There is plenty of music, food and dancing to keep the excitement going. An hour-long train journey will usher you into to this beach. The landscape is breathtaking – clean waters and beautiful hills in the background makes this an ideal pace to relax. Please note that there is also a nudist zone near the rain tunnel. Once you get to the city center, head south. Fifteen minutes later, you should be at this beach. It offers you more than five kilometers of tempting white sands. However, if you are not used to the hustling and bustling, you may not have all the sand to yourself. It is five minutes away from Castelldefells and is a bit quieter. If you find the Castelldefells too much for you, continue strolling until the crowds thin out. The stretch of white sands and clear blue waters should be ideal for you. Rebuilt on parts of a historical site dating back to 1714. Visit the Born Centre Cultural and share in the glory of independence of the Catalans. Barcelona offers free concerts every September. If you are planning to visit this great city, September is the magic month. There is a five-day Festes de la Merce which offers a lot of excitement to revelers – absolutely free. If you miss out this September, try the summer extravaganza in which people go to great lengths to decorate their streets. There are many Miro sculptures in the city, and they are at your disposal for free viewing. 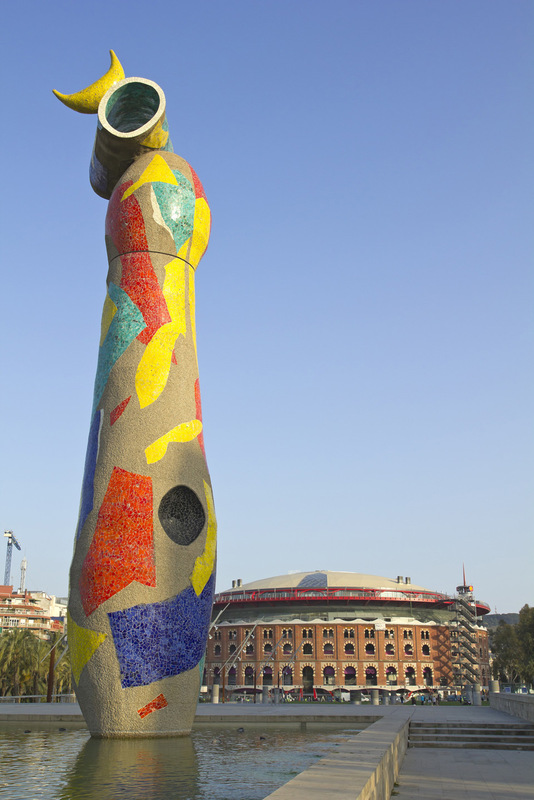 Don't miss out on the 22m-tall sculpture named Woman and Bird rising spectacularly from a dazzling pool. It is located in the Joan Miró Park. Woman and Bird Sculpture Joan Miró Park. Some museums are free, but you have to wait until Sundays or other designated days to enjoy them. Such museums include the hugely popular Museu Picasso (Sunday from 3pm to 7pm and all day on the first Sunday of each month), the Museu Nacional d'Art de Catalunya (Saturday starting at 3pm and on the first Sunday of each month), the Barcelona City History Museum (Museu d'Història de Barcelona). Sunday from 3pm onwards and all day on the first Sunday of each month) and the CosmoCaixa Museu de la Ciencia (Free on the first Sunday of each month). Others may also be free on particular days of the week, mostly Wednesdays. You need to check out the details on their websites. Ramblas or La Rambla is one of the most popular landmarks in Barcelona. The street runs for about 1.3 kilometers connecting Placa de Catalunya with the Christopher Columbus Monument at Port Vell. It borders the quarters of Barri Gòtic, to the east, and El Raval, to the west. There are many parks and gardens in Barcelona and you could enter some of them free. Two in particular are the Parc de la Ciutadella, which features a number of attractions including the Museu d'Art Modern , the Zoological Museum and the Museu de Geologia. Admission to the park is free. Admission to the Jardí Botànic is free every Sunday from 3 pm. Features of the garden include plants and flowers from Chile, Australia, South Africa as well as three Mediterranean zones. While not a landmark or an attraction we have to include this. You can check your emails; catch up with friends and family on social media – at no cost. 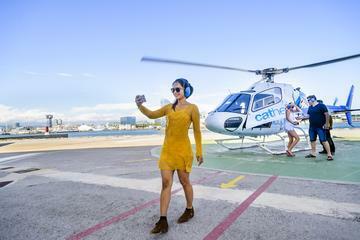 The concept of free Wi-Fi is a reality in Barcelona. Tap into this free resource in public buses and public parks. Some libraries even offer free computer services. How do people move from one place to the other in Barcelona? Well, there are three major options: the Metro, bus and biking. The Metro are the quickest means of transport around the city. In addition, they are the cheapest and most convenient. There are different ticketing types depending on the destination-you are free to make your choice. You can also choose to travel by bus. You will be happy to know that there is a fleet of more than 1,000 fully equipped buses at your service. They are spacious and have large windows to allow passengers a view of the scenery as the bus zooms by. Another alternative is to keep fit by cycling through the city. The fully integrated bicycle lanes and many open spaces and parks in the city all beckon you to a biking experience. However, if you are not up to it, taxis are readily available. Have you ever visited Barcelona? Let us know what you thought about the city. Download the app with this story so you can find these locations easily. Are You Planning A Trip To The Dominican Republic? Know This!